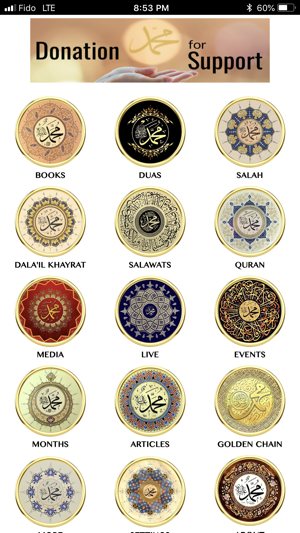 The Muhammadan Way app is a comprehensive resource of Islamic information to have on all your mobile devices. 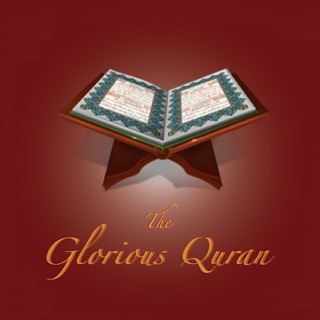 It has been created for both Muslims and non-Muslims, providing you with a wealth of knowledge at your fingertips. Whether you want to complete your daily prayers, read in-depth articles on a variety of Islamic topics, or find out about local events, the Muhammadan Way app has it all! Books – full salawats and nasheeds (praisings on the Prophet saw) that feature easy-to-read transliterated recitations with complete English translations. Available in Arabic and Urdu. 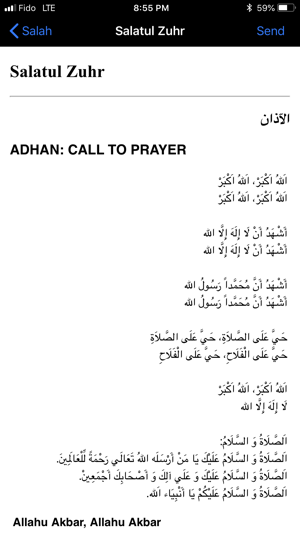 Duas – a compilation of duas (supplications) including “The Daily Awrad” and “Khatm Khawjagan”. Duas also contain tasbih counters to make it easy to complete your practices. Salah – features transliteration and English translations of supplications recited during prayers, including the Adhan (Call to prayer). Months – each month contains valuable information regarding each month’s special practices, duas for holy nights, and a collection of related articles by Shaykh Nurjan Mirahmadi. 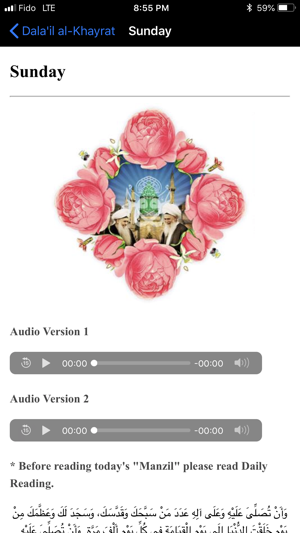 Media – a continuously updated library of audio and video files by Shaykh Nurjan Mirahmadi. Listen to audio lectures on a wide variety of Islamic topics or easily download lectures for offline listening. 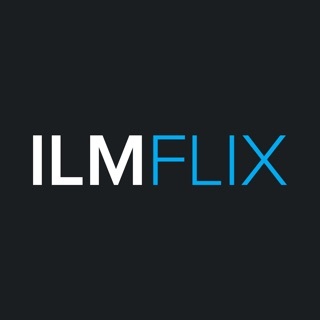 Watch video discourses including full episodes of the Islamic TV Series, “Divine Love: Hub-E-Rasul” and participate in the live streaming weekly Zikrs. 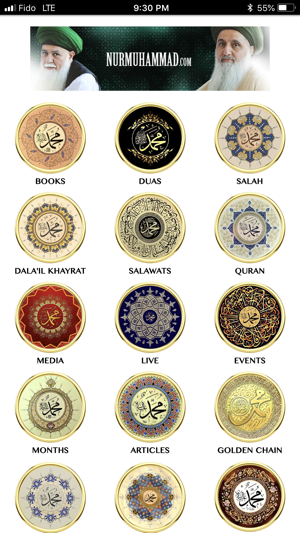 Events – an updated calendar provides information on weekly Zikr gatherings, special occasions such as Eid, celebrations of Islamic holy nights, and much more. This app is free and donations are most welcome to support our ongoing efforts! 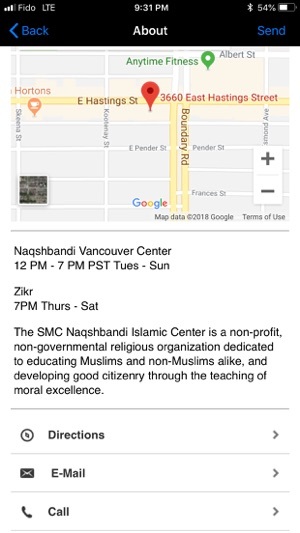 Alhamdulilah this app is a comprehensive resource for those who wish to elevate their spiritual station!